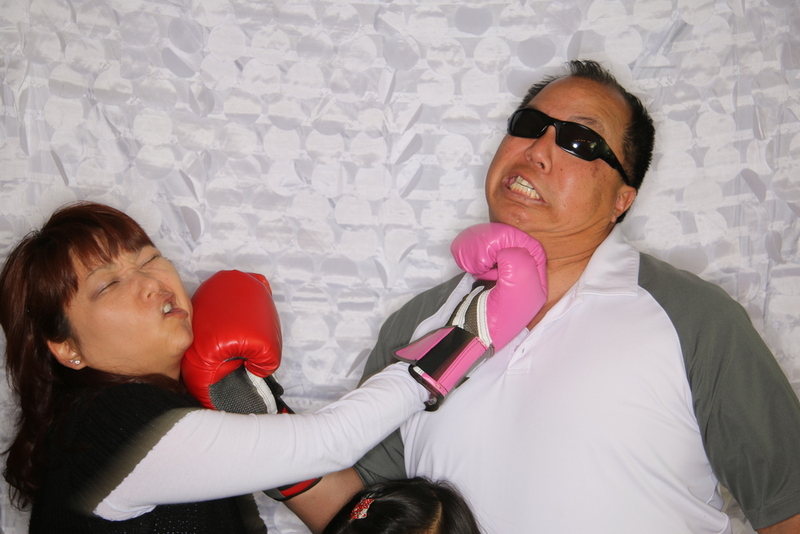 Welcome to InstaPix, the premier open air photo booth in the bay area. Dressing up and being wacky is contagious. Hiding all this fun in a box is outrageous! Our modern open air photo booth can fit up to twelve people comfortably and is always the center of attention at any event. The large touchscreen monitor makes operating the booth a breeze. Grab some props, press start and get ready to strike a pose! Once finished, your photos print within seconds. To read more about how our booths works, click here. 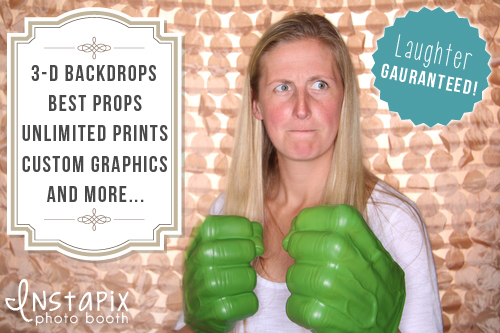 As we continue to push the envelope in the photo booth industry, we are proud to offer these three new features to our booth packages. Please click on the banners below for more information. 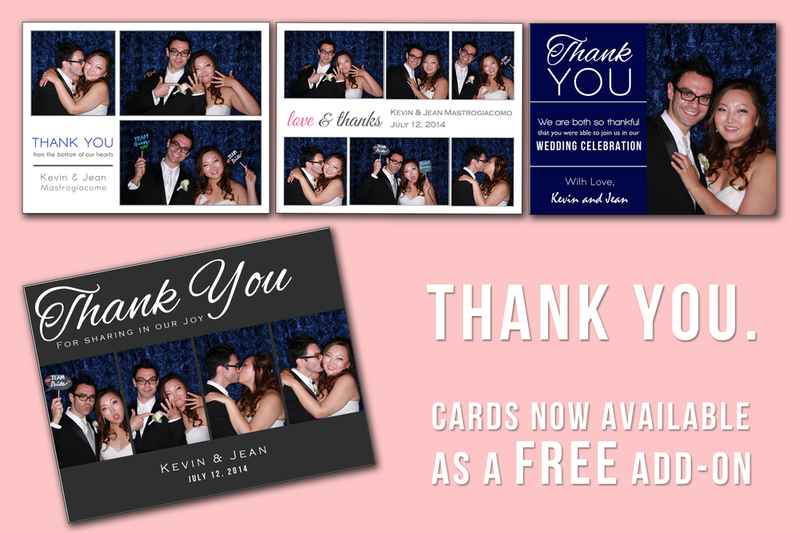 Thank You Cards- Choose your favorite photos from your event, pick out a template, and we will create a digital postcard for you to mail to your guests. This add-on is FREE and will be included in all packages. Yippee-Ki-Yay...go ahead and do your happy dance. The Red Carpet Package- This marquee is a new addition to our "red carpet" package. Our red carpet package already includes a 3ft x 8ft red carpet runway and professional stanchions. We continue to strive to be the best photo booth company in the bay area and are proud to offer this piece of signage to our customers. Prop Signs- We are proud to announce our new full color sign boards. Printed on vinyl and mounted on acrylic, these hilarious signs will entice you and your guests back to the photo booth over and over. Furthermore, many of our signs were created to match our costumes to help create an even funnier scene! These signs are exclusive to Instapix and are included in every booth package. Have an inside joke or popular phrase amongst your friends and family? We can create a custom sign just for your event. 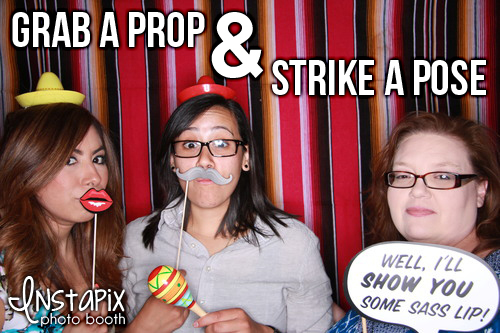 With a wide selection of photo booth companies out there, choosing the right company for your event becomes a difficult task. Like the smart shopper you are, you have probably scoured the internet for deals and are comparing the different packages and prices various photo booth companies have to offer. Good for you! We know that InstaPix does not have the cheapest prices around but we believe that we offer the best value with our photo booth packages. Many companies entice you with a cheap initial price but up-sell you at every corner. What other companies sell as "upgrades," comes standard with our packages. We are firm believers of the saying "you get what you pay for" and that quality trumps quantity any day of the week. Read our post on Groupon and LivingSocial in our blog here.